Every time I visit India, one of my mandatory stops is at my sister's friend Jayashree's house. Why? She makes the best sweet pongal and puliyogare that I have ever eaten. The sakkarai pongal is absolutely divine. I got this recipe from her so I could share it with you all. 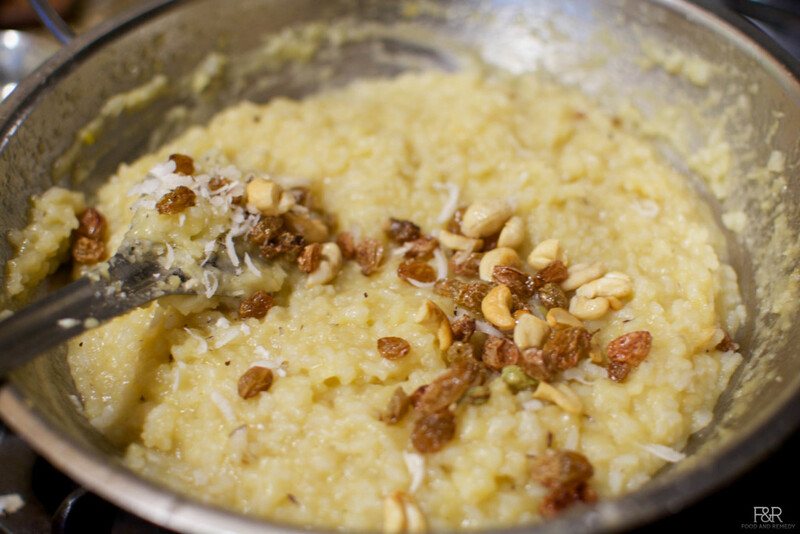 When she makes the sweet, she uses 3/4 cup of ghee, so I have modified it to use only 3 tablespoons. It still tastes amazing, so it's an excellent compromise on taste and health. Wash and pressure cook moong dal and rice with 3 cups of water on medium heat (2 whistles). 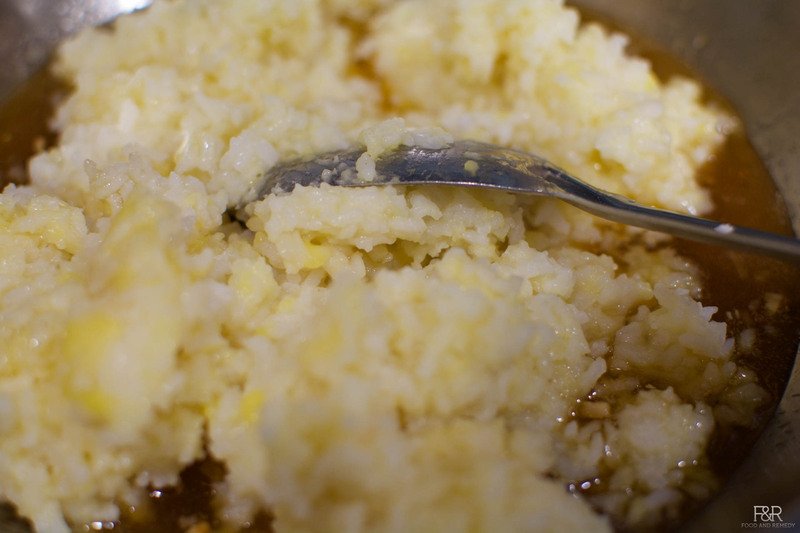 Once the cooker is safe enough open, mash the dal and rice with a spoon and keep it aside. Heat around 2 to 3 tsp ghee in a small pan and fry cashews and raisins separately until cashews are golden brown and all raisins puffs up . Transfer it to a small bowl and keep it ready. 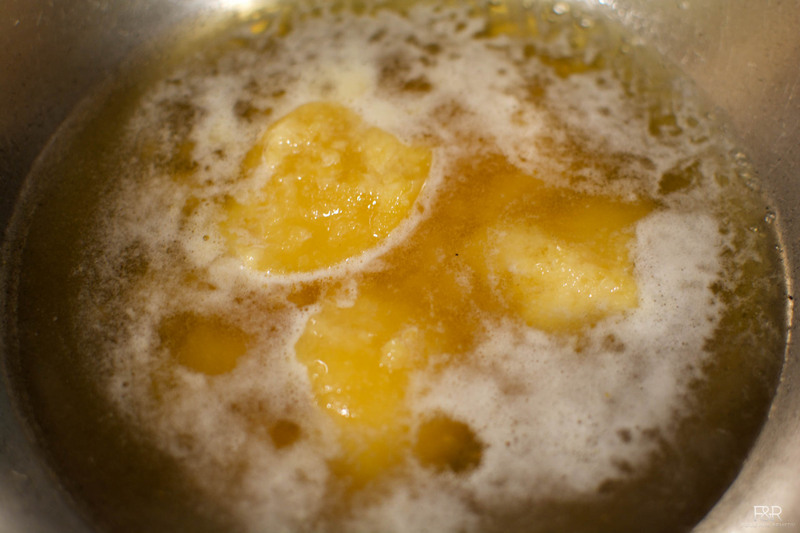 Melt the jaggery with 1/2 cup water on medium heat in a thick bottom pan. Once it melts strain the syrup through a clean cotton cloth to remove impurities. Wash the pan and keep it back on the stove with the cleaned syrup. Let it boil until it reaches string consistency. 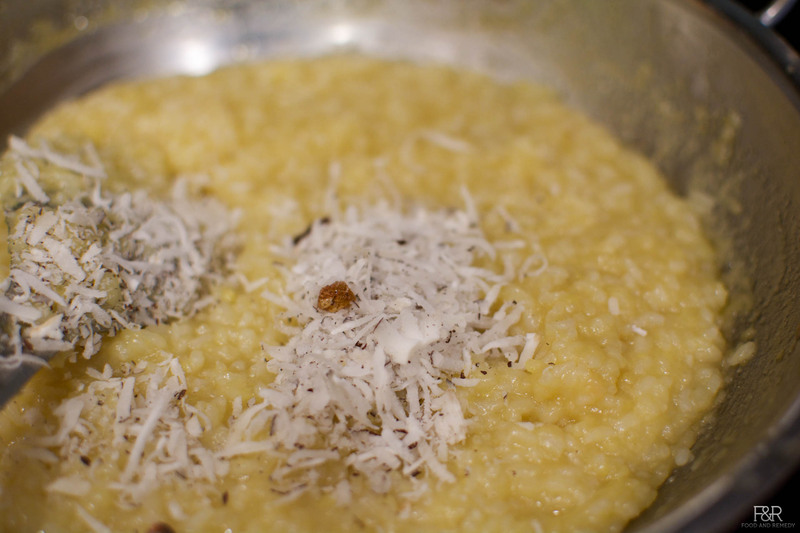 Now add the mashed dal and rice along with the ghee, mix well. Let it cook on low heat for 5 minutes stirring in between to avoid burning. Turn off the heat and add cardamom powder, fried cashews and raisins, mix well. 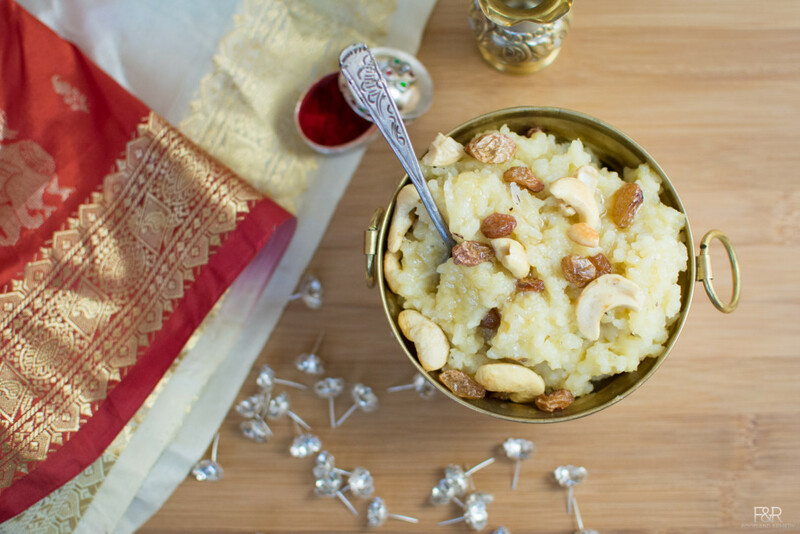 Enjoy hot Sakkarai Pongal / huggi with ghee! Jayashree's original recipe calls for 3/4 to 1 cup ghee .